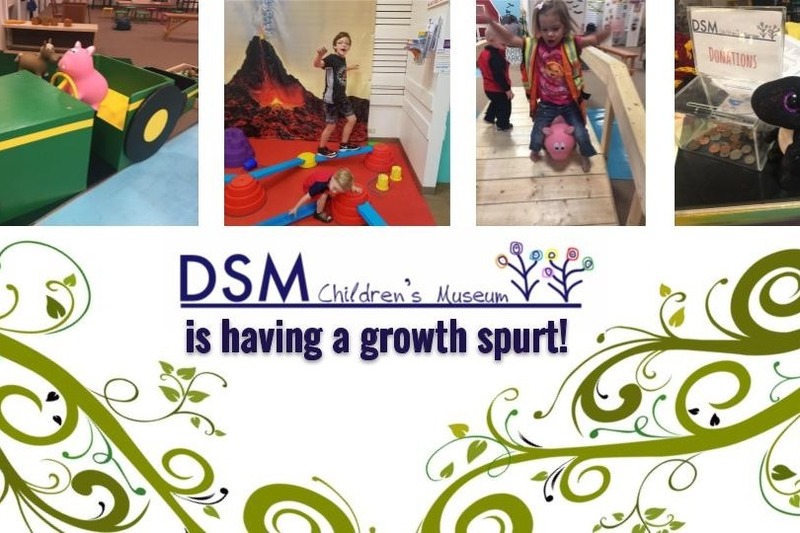 Des Moines Children's Museum has had over 20,000 visitors to our temporary location in Valley West Mall with limited hours and 100% volunteer staff. We've outgrown our current space and are moving to a bigger space in Valley West Mall! We will be tripling our exhibit space, doubling our programming/party space, and adding a restroom for visitors. To make all this happen, we need everyone's help. We need funds for new exhibits, exhibit improvements, and improvements to the space.